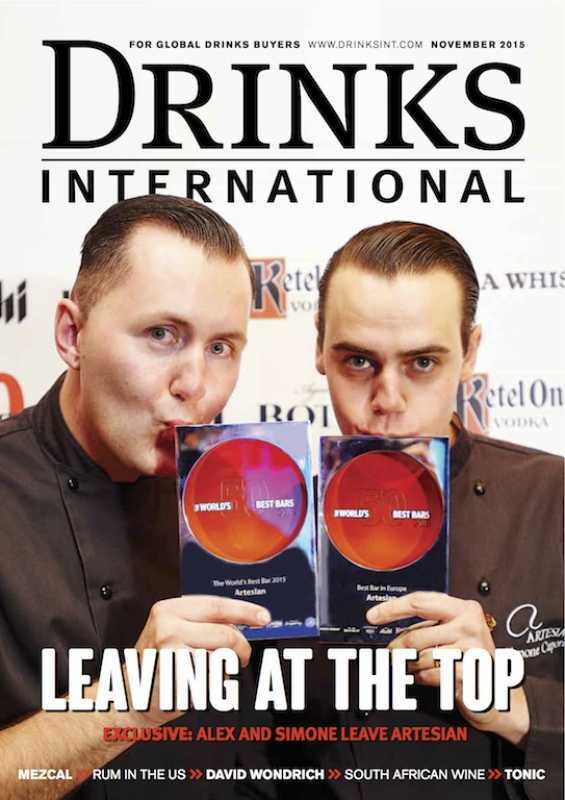 On Thursday 8th October, Drinks International announced its highly anticipated World’s 50 Best Bars Awards 2015. The bars are chosen by an Academy of over 400 members; the strongest, most diverse collection of industry experts ever assembled to express their view on the best bars in the world. The list represents the ultimate guide to the top bars and drinking destinations around the globe, with restaurant bars, speakeasies, hotel bars, and tiki themed venues all contributing to the diverse and eclectic list. This year’s ranking includes bars from 27 cities in 19 countries, with 14 new entries. 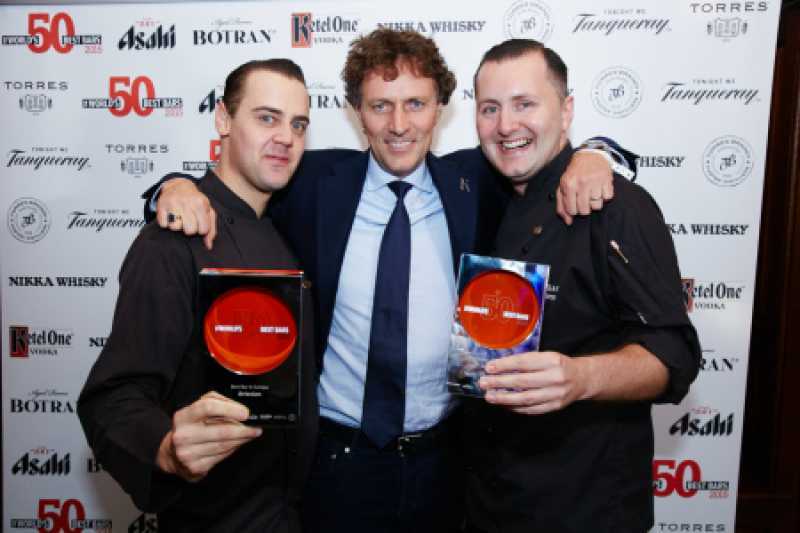 London prevailed once again to retain the Number One spot with Artesian taking the title of The World’s Best Bar for the fourth consecutive year. Located at The Langham Hotel, Artesian is headed up by Alex Kratena and Simone Caporale, who recently launched their show-stopping ‘Surrealism’ menu for 2015. The menu includes creations such as the ‘Spring Into Summer’: poured into a molten dish, the serve is inspired by the concept of ‘landscape’ in surrealism that reveals itself to the drinker. The herbaceous concoction contains an intricate flavour combination of Ketel One Vodka, Shochu, Artichoke, Coffee, Yuzu, Passion and Coriander. ARTESIAN TEAM DECIDES TO LEAVE! MEXICO CITY, UNIQUE AND UNEXPECTED COCKTAILS, ARTESIAN/ABROAD! COCKTAIL SEMINAR WITH ARTESIAN VIBE! SUPERBAR, MILAN, THE BARSHOW IN ITALIAN STYLE! [email protected], THE BARSHOW IN ITALIAN STYLE! WORKSHOP, DUBAI BARTENDERS BOOK YOUR DATE! WARSAW ! 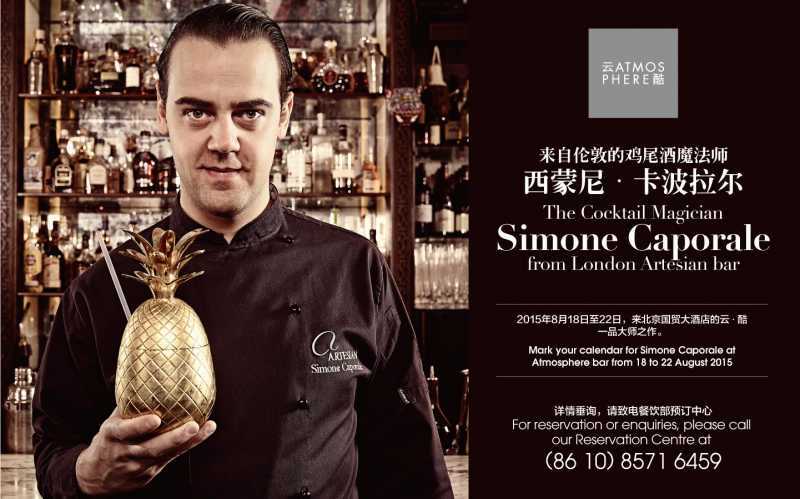 3 FABULOUS DAYS OF COCKTAIL MASTERCLASSES!